As Canadian medical professionals, there’s no need to tell you that time is one of the biggest factors in a medical emergency. Having trauma or emergency stretchers with X-Ray capabilities on hand and ready to go is critical to a successful outcome. Trauma stretchers, like other hospital equipment, may contain similar features and functionality, and that makes it hard to distinguish which one is the right X-Ray stretcher for your needs. One thing to look for, in terms of distinguishing brands and models, is the ease of use and the reaction time for functionality. With this article, we plan to give you a comprehensive review of the most popular trauma/X-ray stretcher brands and models in Canada. Having everything in front of you all at once will cut down on the time and effort you’ll need to put into researching. 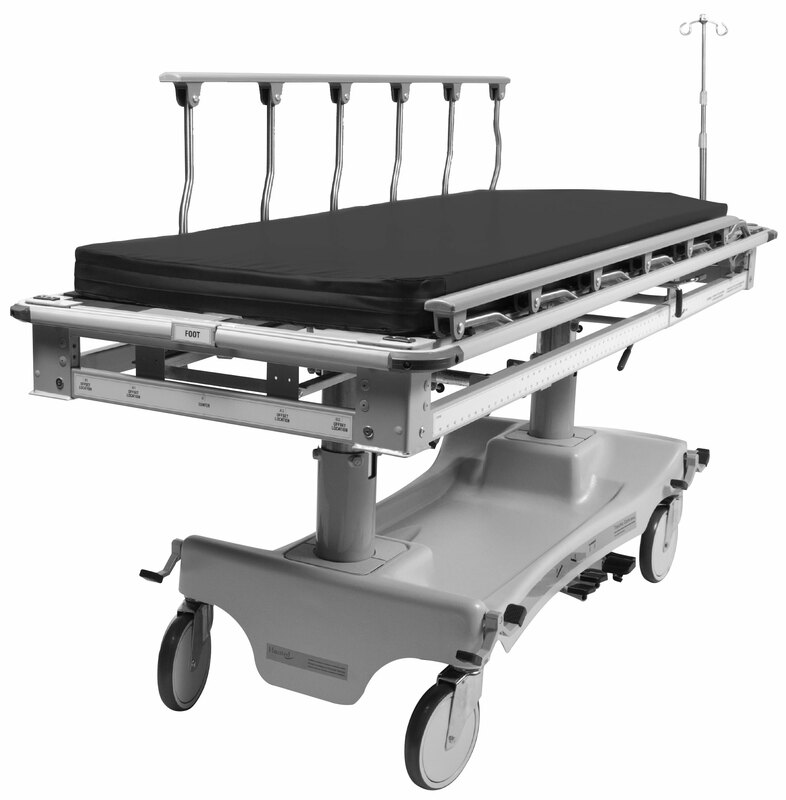 Please note that we are only including stretchers that have full-length imaging capabilities as a standard feature. Note: The following are in alphabetical order and all information is public. We aim to consistently bring you unbiased and factual information. Be sure to download the technical specifications of all the stretchers at the end of the article! With its fully radiolucent litter section, the Amico Trauma Stretcher is protected at the ends and on the sides by roller and side bumpers. 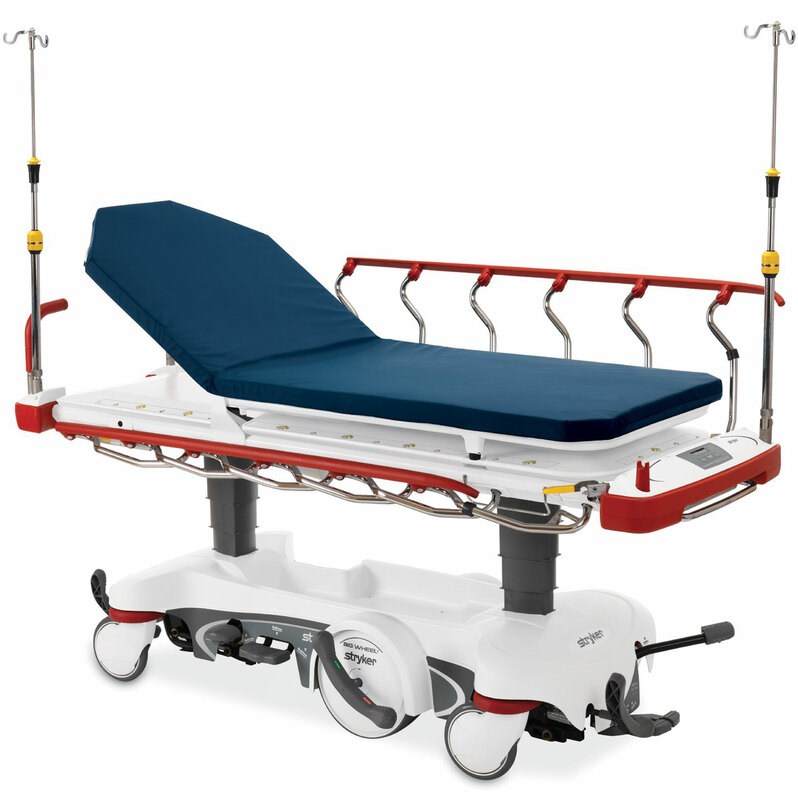 This stretcher comes standard with a 3” foam mattress and defibrillator tray. ArjoHuntleigh, a division of Getinge Group, has three trauma stretcher options, but only one with a standard full-length imaging platform. 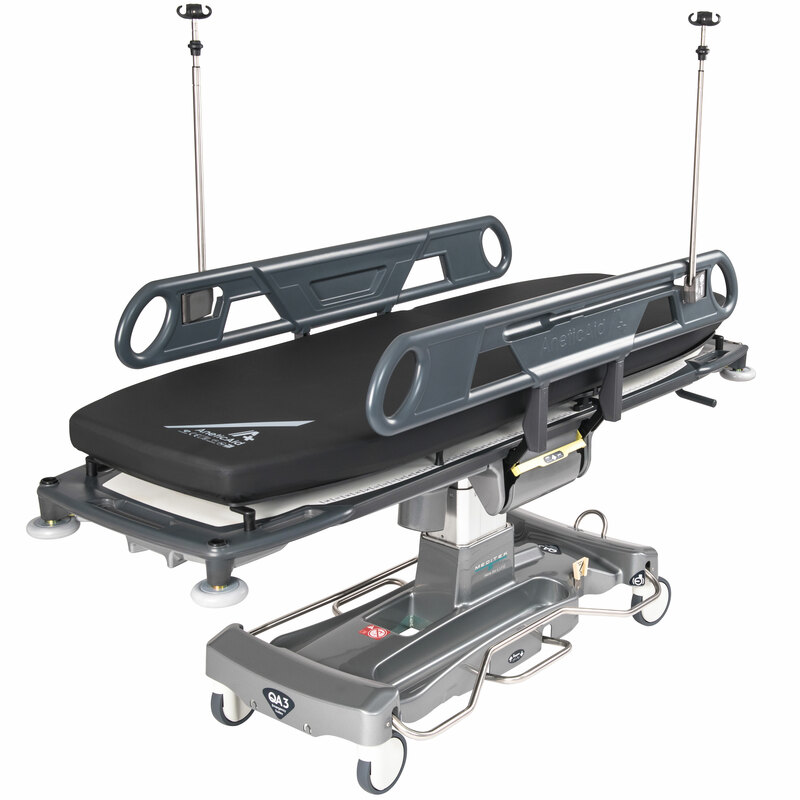 The Lifeguard® 55 trauma stretcher is compatible with most conventional X-Ray and C-Arm imaging equipment and has a fully radio-translucent mattress. Sliding cassette trays can be accessed from both sides. Cassettes can move longitudinally for full body X-Rays. Conversely, a safety side function also provides clearance for lateral X-Rays. Hausted has the Horizon Series X-Ray Trauma Stretcher, which features an integrated cassette tray accessible from either side of the stretcher. The cassette has a metering system that allows precise positioning, either centered or offset. You can raise the tray system closer to the patient’s surface to take higher quality images. 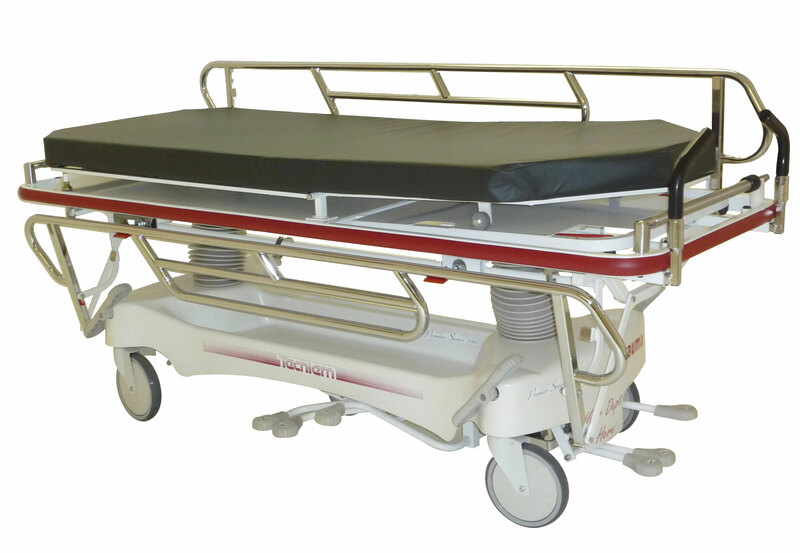 Intended for transport, treatment and recovery, the Horizon trauma stretcher allows for full-length X-Rays, while functioning as a treatment table and transport stretcher. 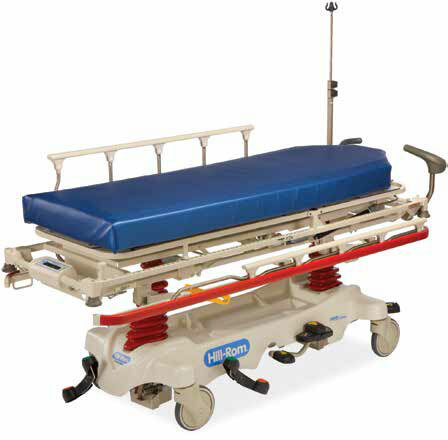 Hill-Rom®’s trauma stretcher, puts a focus on providing more than mobility for patients and staff. 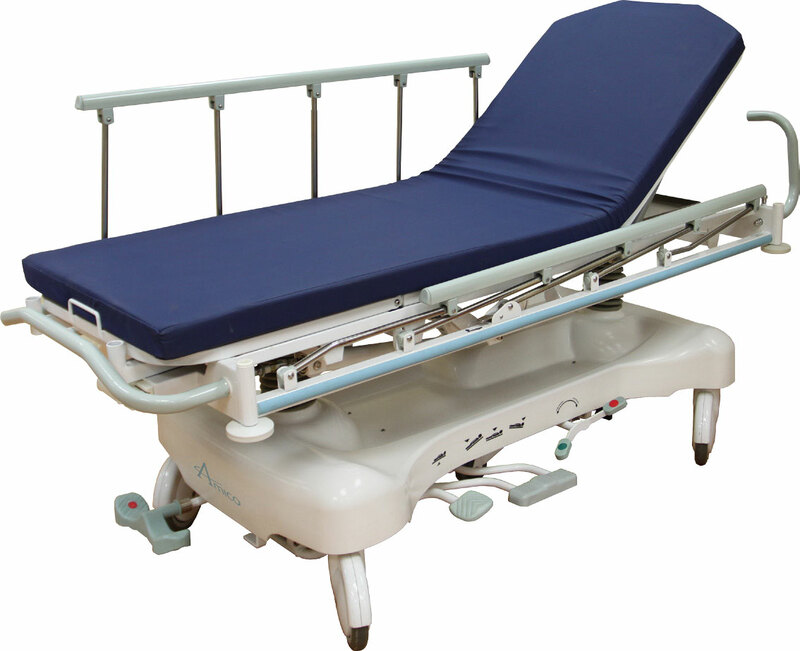 The leading UK stretcher manufacturer, Anetic Aid, manufactures Meditek’s trauma stretcher. The QA3 X-Ray or Emergency Stretcher is the lowest height of all the trauma stretchers and has one of the highest weight capacities. With its robust design (as it has been used in military settings) it is the only trauma/emergency stretcher that can go into trendelenburg (or reverse) at any height by a headend-located hand lever. The dual-deck patient platform allows for the positioning of cassettes at any point under the patient. The open architecture allows for almost any cassette size. 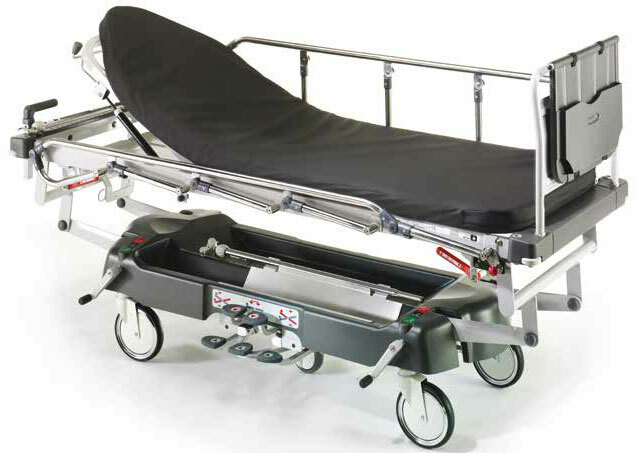 Techlem’s 5000XR trauma stretcher is an extension of the Techlem 5000 General Transport Series. With the full patient surface cassette placing, access is available from all four sides. When looking for a trauma or emergency stretcher, keep in mind that your stretcher should be a harmonistic mix of the technical specs you require and the benefits that the features highlight. If you’re undecided, look for unique features or benefits as a possible deciding factor. 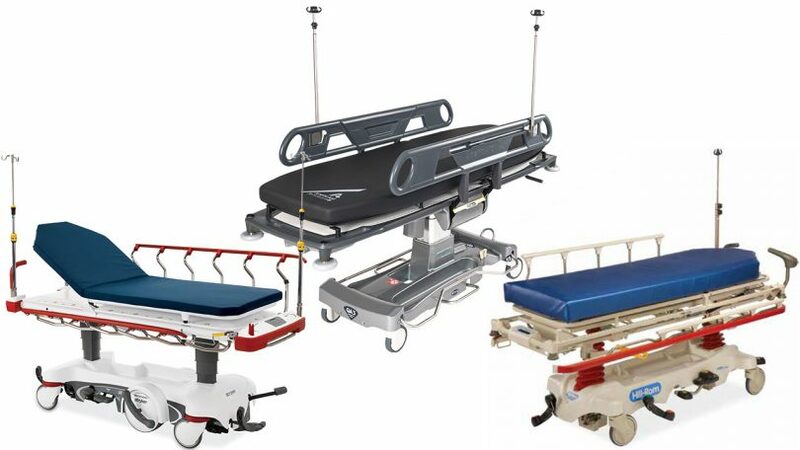 Meditek is the exclusive Canadian distributor for the QA Series stretchers from Anetic Aid. As the leading emergency stretcher in the UK, the QA3 emergency stretcher focuses on two major factors in emergency care – stretcher height and trendelenburg accessibility. Don’t forget to download the technical specs of all the aforementioned stretchers.